Continuing the ongoing series of interviews with creative artists working on various aspects of movie and TV productions, it is my honor to welcome Inbal Weinberg. In this interview she talks about her dream of becoming a production designer, finding the right projects to work on, the invisible craft of production design, doing research in the age of the Internet, and what keeps her going. Around these topics and more, Inbal goes back to her work on “Blue Valentine”, “Beasts of No Nation” and “The Place Beyond the Pines”, dives into building the worlds of the critically acclaimed “Three Billboards Outside Ebbing, Missouri”, and reflects on the much-anticipated upcoming remake of “Suspiria”. 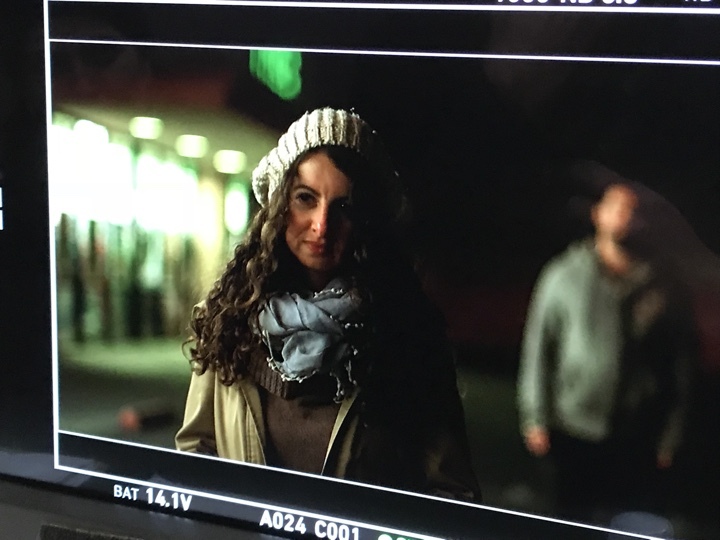 Inbal Weinberg on the set of Billboard Road. 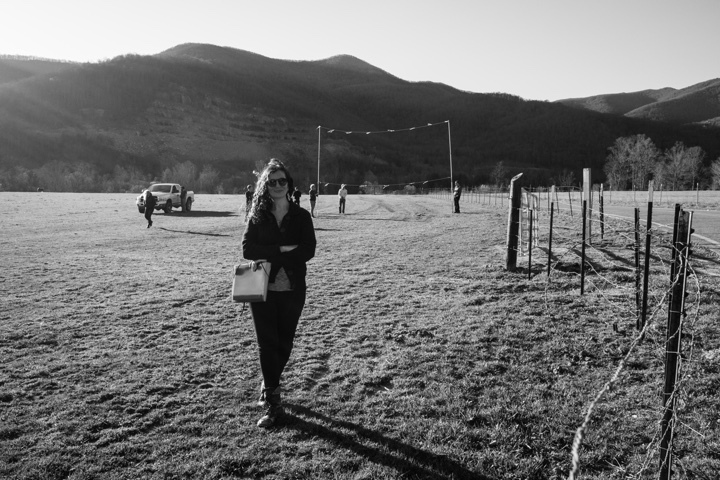 Inbal: Probably contrary to a lot of other people in our field, I’ve always wanted to be a production designer. While in high school in Israel I was studying drawing and painting, but realized I didn’t want to be a full-blown artist. That’s the time I really got into movies. It was the beginning of the indie film wave in the US, Hal Hartley was my favorite filmmaker and I loved Ken Loach and Mike Leigh in the UK. There were a lot of other active filmmakers I liked around mid-90s, when I was in high school. That indie film “revolution” affected me a lot. I can’t say what it was, but the credit ‘production designer’ just caught my eye. Even though I knew absolutely nothing about it, I sort of invented what it was in my mind and decided that’s what I wanted to do. I remember very distinctly that when I was in the Army, I told people I was going to be a production designer – without really knowing what it was. I tried to find out more about it. At the time it was just the beginning of the Internet, and there wasn’t that much information available to you offline either, especially if you lived in Israel. I remember going to the Tel Aviv university’s library and trying to find books about production design – which didn’t exist. I decided I wanted to go to film school in the US. I wanted to leave Israel and live in New York. There weren’t undergrad production design programs anywhere at that time, and even today there are very few. So I decided to apply to NYU just knowing that it was one of the best film schools in the country. 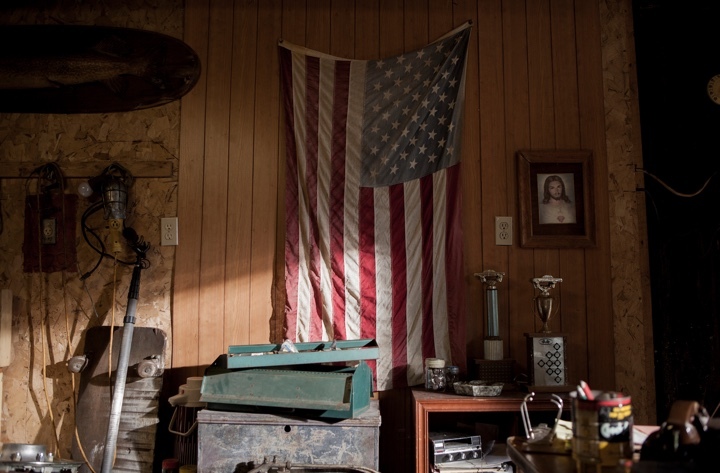 Production design of “The Place Beyond the Pines” by Inbal Weinberg. I went to talk to the Chair of Film School before I even got in and asked him what he thought about me wanting to be a production designer. He encouraged me to attend, saying that filmmaking basics are always important. And at the same time, because not a lot of craft people go to film school, I would probably have ample opportunities to design student films. He was totally right about that. I went to film school at NYU and had the ability to work on a lot of student films. The school was also pretty receptive to me asking to tailor my own studies to my concentration. I think they didn’t have a lot of people that were asking to do that. I took the required film classes, but I also took classes in the theater department learning to draft scenery, in the Cinema Studies department learning about history of production design. I sort of put it all together. The indie film world is the world that I wanted to be in, and I started doing a lot of small films. I went through many positions in the art department, slowly going up the ladder. At some point I felt it was time to try designing my own films. I started with really small ones, and kept going from there. Kirill: Was there anything particularly surprising or unexpected for you when you joined your first production? Inbal: Reflecting back on it, I probably self-importantly thought that I knew everything, but really I knew nothing. It was a humbling experience, where I learned how little I actually know. Come to think of it, to this very day on every project I realize how little I know. That hasn’t changed much [laughs]. I’m always surprised by how much I learn on every project. Production design is this huge field where you can become an expert on so many different things. Depending on the project, you learn about the history of very specific subjects, or you learn a craft that is really specific for your film. People-managing is also a big part of the job, and that’s something that most of the time you learn through experience. 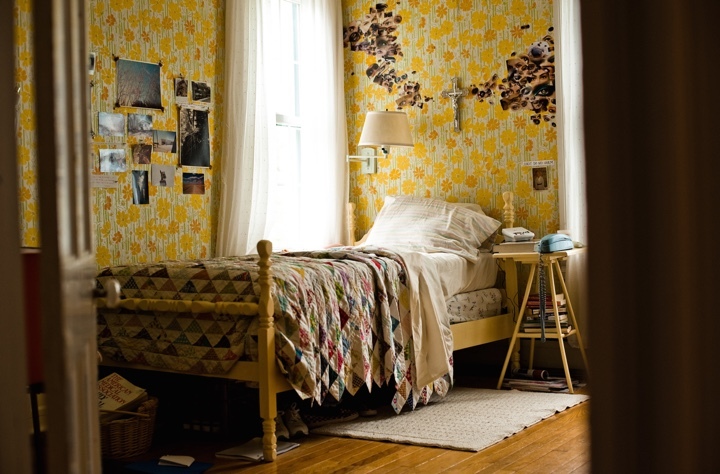 Production design of “Blue Valentine” by Inbal Weinberg. Kirill: Looking at the films that you’ve worked on so far, it feels like you are staying in the indie world. When you look at the next project to choose, how do you decide if a project is a good fit for you, or maybe you are a good fit for that project? Inbal: For me the number one thing is always the script. It’s very hard to write a good movie, a rare thing. A good script is more important than the director, the actors or the budget. I always want to make sure it’s a well-written story. When you read a lot of scripts, and when you’ve watched a lot of films, you become a pretty sophisticated reader. I often read scripts where I already know what the characters are going to say – that’s when I lose my interest. And often it bothers me when I read dialogue that I think no one would ever say. I want the sense of drama, and for the script to be original and authentic. The story needs to be realistic and make sense to me. If it’s a well-written story then I have to decide if it’s a story that I am interested in telling. There are many well-written mainstream films, but that’s not really my sensibility, so even if I read and like a project I may decide it’s not something I personally want to make. I’m pretty critical and it means that I don’t work on back-to-back projects – I take my time to try to find the right thing. After the script, the most important thing for me is the director. As I said, reading an incredible script is extremely rare – it almost never happens that you put down the script and you know that it’s going be the best film. So instead, you read a well-written script and then you ask yourself: is the director going to take it to a higher level? to a place I didn’t anticipate? That is what makes that original film that I’m always looking for. So it starts with the script, then the director, and after that you have the actors, the budget, the producers and key collaborators, which is kind of like the icing on a cake. 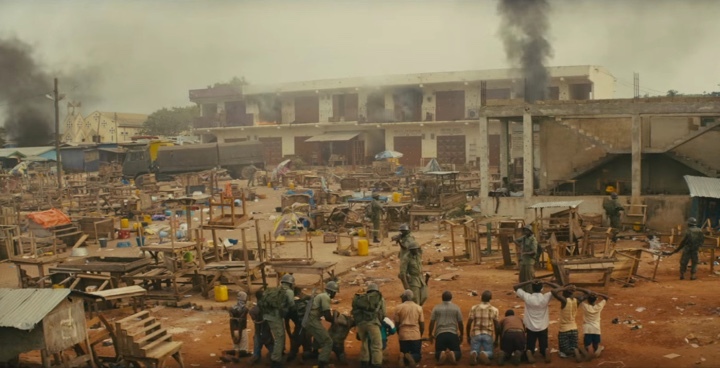 Production design of “Beasts of No Nation” by Inbal Weinberg. Kirill: Are you looking to have your artistic sensibilities aligned with those of the director, or are you looking for clash of opinions? Inbal: I don’t think anybody ever looks for clashes – usually you’re trying to make sure that you’re seeing what the director is seeing. If you’re ever on a film where you’re not seeing the same thing, then it’s a problem. I try to start out prepared with images, even in the interview, so that I know the director and I are on the same page. I want my enthusiasm and my passion to come through in the interview process, so way the director knows that I am 150% in. However, it’s hard to gauge someone’s personality in an interview, since the whole setup is sort of forced. You’re really only tested on a film in times of extreme stress, and that’s not what an interview is, so it’s tough to tell if you and the director will end up getting along. That’s why I try to make sure that the director and I are at least in agreement about the visual world. If we’re lucky, we click in the interview, and already have this feeling that we’re going to work well together. But I’ve learned the hard way that often the insight you get from an interview is totally different from the way your relationship actually develops. Usually there’s a period of a few weeks at the beginning of pre-production where both the director and you are trying to figure each other out, understand each other’s characters and work methods. 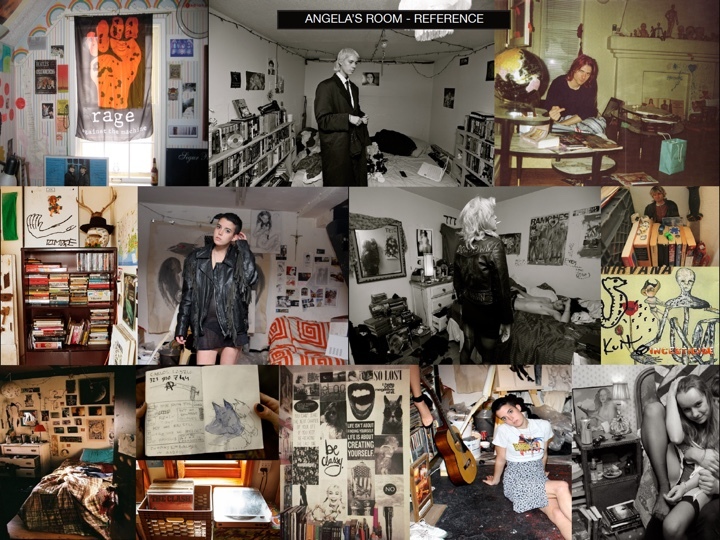 Moodboard for Angela’s room for “Three Billboards Outside Ebbing, Missouri”, courtesy of Inbal Weinberg. Kirill: There’s a lot of mid-budget drama that seems to be shifting from film to episodic or seasonal productions on HBO, Netflix, Amazon and others. Does it feel that way for you where these great stories that used to be told over 90-120 minutes are now finding their way to longer arcs? Inbal: I have a hard time commenting on what people consider contemporary trends. Since we’re living in the now, it’s hard to have an observer’s perspective on things, even though people love to define certain shifts or events. I can only speak from my own experience of what I’m doing: nothing has changed for me in the world that I’ve been interested in. I’m slowly climbing it in terms of budget, but I’m not in a hurry to get anywhere. So I can’t say that any opportunities have disappeared – they’ve been there for me so far. There is definitely more TV work, but TV is not really my focus. I’m just looking for a next great film, and the search is always a tough one. Is it tougher now than it has been? I don’t really think so. This period is also really interesting in terms of changing platforms and viewing habits. There’s a lot that is floating in our industry, and I can’t call one trend versus another. I’m just psyched that I can still work on interesting films and slowly have a little bit more money to work with in my department. 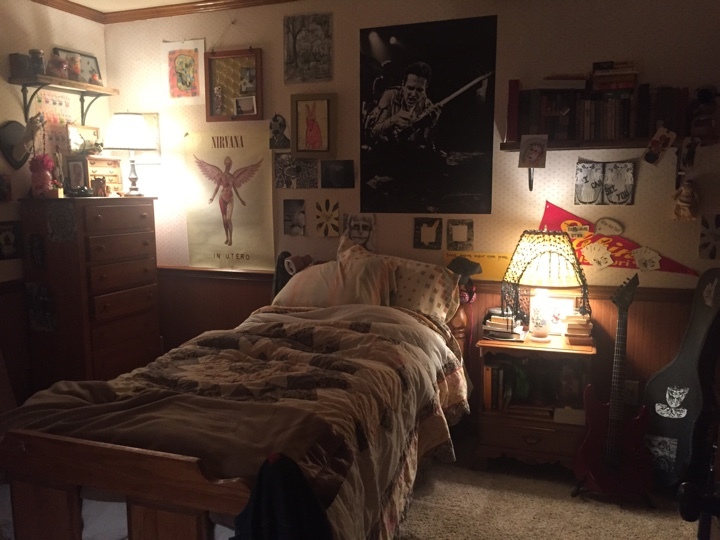 Angela’s room on “Three Billboards Outside Ebbing, Missouri”, courtesy of Inbal Weinberg. Kirill: You mentioned that when you read a script, you get a feeling if it’s something that you want to work on. As I’ve been looking at the productions that you’ve worked on, I remembered how “Blue Valentine” connected with the critics and the audiences. “Beasts of no Nation” had a lot of awards, and obviously “Three Billboards” was a very strong movie last year. Does it feel that sometimes it’s almost random what strikes a chord once a movie is out of your hands yes? Inbal: No doubt. For me it’s always a gamble, but the most secure thing you can do is gamble on a strong script with a great director. That’s the least chance of anything going badly. I have been in tough situations where you finish a film and you’re not even sure if what you shot has a beginning, a middle and an end – and then it turns into a great movie. That’s usually because it had a very good basis. However, beyond those two assurances, it’s really interesting to see where a film goes. There’s the whole editing process that you have nothing to do with as a production person, and sometimes the film changes a lot. And past that, once it’s out there, it has so much to do with marketing and with whatever is going on socially at the time. I always wonder at how certain films can get almost derailed and certain films can go so far. I don’t think anyone anticipated “Three Billboards” being so successful, for example. Even though we all knew it was a great script, great actors and great director and everybody believed in the film, it went so incredibly further than I had anticipated. It’s been an amazing journey to observe and be a part of. And in other situations I worked on great films that possibly could have gone further, but there was some marketing thing, or whoever the production company was, or some unexpected factors that you don’t know much about as a production person, and you wish that more people would have seen the film. I’m a big film buff and I watch a lot of films from other decades – some that at the time no one watched and now are considered classics. So I see the test of time as one of the most important factors in deciding a film’s worth. If a film I really believe in came out and didn’t do super well, I still know it’s good and I know people will be talking about it ten years from now. It’s the longevity of the film that is important at the end of the day. Police station on “Three Billboards Outside Ebbing, Missouri”. Kirill: So far you have worked mostly on productions set in modern day. When you talk about what you do for a living, do you see that people are surprised that everything needs to be designed, and that there is nothing left to a random chance? Inbal: That’s an unfortunate misconception. And it’s not only the general public that thinks that – some production people even think that, which is sadly a reflection of the fact that sometimes the production designer doesn’t get his/her due credit for the amount of work that they do on screen. The irony of it is that when something is designed well, it’s supposed to feel seamless. If someone notices a chair or the color of the wall, it’s probably because it wasn’t right or it was not harmonious with the scene. When everything is in harmony, it just feels like you’re there. That means that ‘there’ is in someone’s mind, like a real place that didn’t have to be constructed. It’s difficult to tear out that perception. It’s like you’re taking the wool off. It’s like you’re breaking the fourth wall and telling people that this thing is just a fantasy. Maybe that explains a little bit why people don’t instinctively think that this film world is made of many different little pieces. I think the only way for us to push that point is to share our work with other people – do panels and meetings, talk among ourselves and really try to promote our craft. This is one of the reasons why I co-founded the Production Designers Collective. We really think that there is a connection between misunderstanding the amount of work that goes into production design and a sort of devaluation of our contribution to filmmaking. Billboard on “Three Billboards Outside Ebbing, Missouri”. Kirill: It might be a tough balance to find. As you said, if people do notice your work, maybe it’s not the best thing. Inbal: I’m sure people notice work when it’s excellent. And traditionally, people notice production design when it’s part of a huge movie. Like if you’re working on a victorian epic piece, most of the time people will say that the design was incredible. You can see it in the Academy Award nominations – contemporary film, or even a period film from a recent period, will rarely be nominated for an award. Usually, it has to be a blockbuster movie where hundreds of people worked in the art department to create a fantasy/sci-fi/period world. But the truth is that even when you have a team of a few people working on a contemporary film, they’re probably putting just as much work as the hundreds of people that are working on an Academy Award nominated production. Many people in the industry still think about production design very traditionally, and independent cinema has only been around for a few decades. There’s still that concept that production design has to be very grand in order for it to be considered good or be noticed. Kirill: When you look back at productions that you did a few years ago, what stays with you? Inbal: We all tend to remember projects with much rosier retrospection than the harsh reality of the job. It’s almost like an instinct of self-preservation. If we really did remember things as they were, we would never want to do this again [laughs]. So just in order to keep going, we probably block the really difficult times and remember the happiest moments. Dixon’s house on “Three Billboards Outside Ebbing, Missouri”, courtesy of Inbal Weinberg. I do tend to think back on projects very fondly, but the truth is that a lot of times when I’m in the thick of it, I’m super stressed-out. There are a lot of ups and downs, there is always something catastrophic happening. You’re going from extreme happiness of fulfilling a wonderful set or overcoming some major challenge, to putting out the next fire. There’s never been a project that has been just pure joy. Even the ones that have been relatively pleasant experiences always had moments of meltdown or something going extremely wrong. It’s a dramatic field of work. My life and the films that I work on are tightly linked. When I think back on projects, I’m looking at my past as a person. I remember a lot of me evolving as a human being. I think a lot about relationships that I made on films, or ways I grew personally. And of course I think of the film. Usually I’m very proud of the product itself, but what stays is mostly memories of myself as a person and how I changed through the project. Kirill: If we can move to talk about “Three Billboards Outside Ebbing, Missouri”, how did it start for you? Inbal: I don’t have any exciting story to tell about that. My agency got the script for me, I did a presentation book and I had a Skype interview with Martin McDonagh, the director. I was psyched to get the job, but I didn’t really know how it was going to go. I ended up having a really great relationship with Martin. That was just another beautiful kind of result that I could never have seen ahead of time. Souvenir shop on “Three Billboards Outside Ebbing, Missouri”, courtesy of Inbal Weinberg. Kirill: Unpacking this a bit, what goes into preparing such a presentation? You mentioned that you were in high school in the mid-90s, and researching something back then without the Internet was different from what people can do today. Is it becoming easier to research things online to create that lookbook? Inbal: When I just started working, there wasn’t that much to look at online, like Google Images today. I used to go to the library a lot, and I still do. There’s a place in New York called the Picture Collection that I avidly visit on every film. I generally feel that we’ve become lazier and lazier about trying to find references, because they’re really at our fingertips now. What I worry about is that it’s become so easy to research things, that we all probably find the same results. I always wonder if I and the next person coming to interview for a project have picked the same exact picture from Google Images when we searched for desolate farmhouse or something [laughs]. So instead, I try to go a few layers deeper. There’s Google Images of course, but there’s a lot of stock image websites that have made it easier to find things. I love doing historical research: I go deep into a specific period if it’s a period film. Photographic images are the easiest to find, so I also try to refresh my mind with adding fine arts to the references. The Internet is a great place to mine for personal memories as well. There are trillions upon trillions of images online that are not in these official websites. It’s just a question of how to get to them. You have to learn how to do detective work online. Once you start scratching the surface, you can find amazing stuff that people put up. It can be photos from somebody’s grandma’s album online. If you really start looking, not settling for the first few easy searches, there are beautiful finds. Sometimes I wish I were in the director’s seat, because I’m intrigued to see other people’s presentations about the same subject. I know we are all so different, and I’m sure that we present things differently as well. Kirill: What about the locations? How much of it was built, and how much did you find somewhere in the heartland of America, so to speak? Inbal: We built a lot, but we built on location. We never had a set on a stage. Obviously we had the billboard road, which was a cow pasture beforehand, and we built all of the billboards there. We built the facade and some of the interiors of the police station, but we basically picked the building and then built right outside and inside of it. A lot of the story had these important spatial relations between locations. We needed to see certain buildings from other buildings and so on. That’s why we never even considered shooting on a stage. Fire sequence on “Three Billboards Outside Ebbing, Missouri”. Kirill: There’s a lot of things that catch fire in the movie. Is it one take only, or do you build something that can survive multiple takes? Inbal: As I said before, production is such a huge field and every time you become an expert on something else – I feel like on “Three Billboards” I became an expert on special-effects fire, because the art department had to collaborate very closely with the special effects team. It was a great collaboration, especially thanks to the amazing special effects coordinator, Burt Dalton, who is an Academy-award winning Hollywood pro. One of the reasons the police station was built over the existing building (which was originally a consignment furniture store) was that we had to burn it down, but we couldn’t damage the actual structure. Everything that we built had to be fire retardant, and also had to hide the specific equipment of the special effects team, so that they could light it on fire more than once. We shot both the burning billboards and the fire at the police station over a few nights. There had to be meticulous thinking of what the shooting order would be, because things started to slowly get damaged, and that would change the coverage of scenes. Some things needed multiple takes, but after one or two takes you can’t really undo the damage of the fire – even if it’s not burning things down, it’s turning everything black and there’s smoke damage you can’t control. So it all had to be diligently calculated. We were lucky to have very good people at the helm. Everyone was aware of the challenges, and we had many meetings and tests so we could be as prepared as possible. Billboards on “Three Billboards Outside Ebbing, Missouri”. We first storyboarded both of those scenes, and then there were meetings with the director, the director of photography and assistant director to brainstorm the best coverage. In terms of the art department, we had to be prepared with multiples, mostly in set dressing and also some architectural pieces in case some things were beyond repair. But at a certain point you have to accept that you don’t really know what is going to happen. For example, the actual front of the billboards were just paper that was getting burnt. We had multiple signs ready to be repasted, but at some point we weren’t going to be able to redo them due to excessive burn damage to the wood surface. I found that a really interesting concept – you have to accept that you may not have full control over things. And of course when you’re shooting, it’s spectacular to see the fire. It’s this live element. Obviously you have an experienced team on set and everyone is following the safety regulations but at the end of the day you just have to hope for the best. Kirill: Sounds that you also became an expert in everything related to billboards. Inbal: True [laughs]. That was a lot of fun. 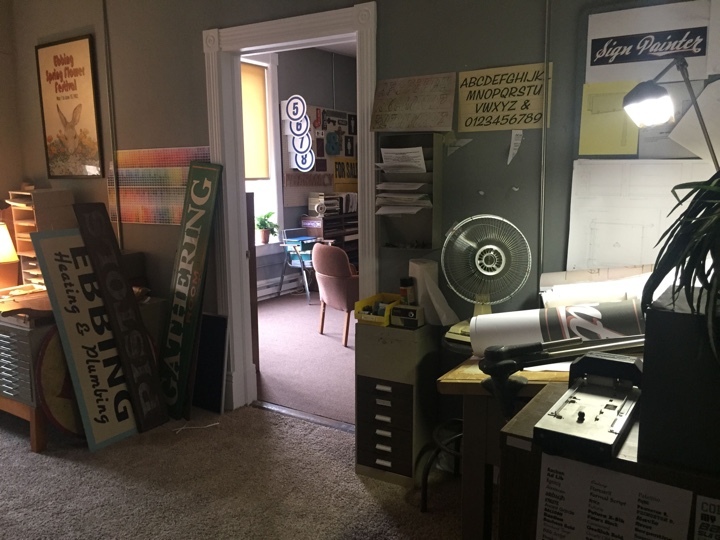 Welby’s office on “Three Billboards Outside Ebbing, Missouri”, courtesy of Inbal Weinberg. Kirill: What goes through your mind when you see the sets that you’ve worked on getting torn down at the end of a production or, in this case, catching fire in the middle of it? Do you feel any regrets or sadness when you see the physicality of those sets disappearing, and only remaining as moving image? Inbal: I was super excited to be there in the fire and seeing it all go. It’s definitely emotional. It’s this heightened sense of adrenaline because these insane things are happening in front of you. I was in the forefront, running into the room right after they yelled “Cut” just because I really wanted to see everything and feel it. I will never forget us shooting the scene where the stunt double threw himself out the window while he was on fire. That stuff is amazing to be part of. I’m always conscious of this crazy world we’re in. Kirill: That sounds like those five stages of grief, and you’re at the acceptance stage of it. Inbal: When you’re on a film, you’re always moving. You’re prepping, you’re shooting and then you’re wrapping. You’re moving at such a crazy pace that you barely have any time to grieve over these sets that are just gone. You’re on your next set at that point, just trying to get everything done, and so you’re letting go of everything because you have to. Then all of a sudden the film’s over, and you go home. You’re just sitting in your apartment and you don’t have to wake up at 4AM and talk to a hundred people every day. That’s when that sort of grieving over the sets gets folded into a full-on post-film melancholy. Crew members always talk about the end-of-shoot blues – it’s a dramatic change in your frequency. When you’re working on the film, you’re so dedicated to not just the material, but especially to your relationship with your director. I find it emotional because it’s such a dependent relationship. During that process you’re there for that person – if they need anything, you have to provide it. It’s an intense relationship, and it’s hard to just turn off, go home and just go back to your regular life. There is always a bit of a recovery period, especially after a difficult project. Over time I’ve started developing a thicker skin for that stuff. Hopefully in ten years I’ll be super-blasé and I’ll cruise through everything. Kirill: Looking back at the sets of “Three Billboards”, was there a particular favorite of yours? Inbal: I’m super proud of the billboards just because they have become their own thing. People have recreated them in different places in the world, and they had such a strong iconic look. Now that the film has been so successful, it’s incredible to think that I had a part in it. They really have a life of their own now. In terms of my favorites, I was most proud of the transformation of the ad agency. 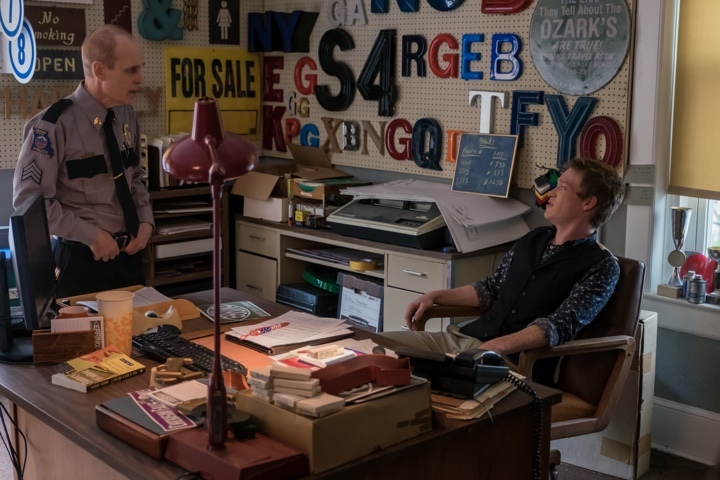 When I was first researching the film, there wasn’t much to go on for Welby’s Office: researching small-town ad agency just brings up a bunch of super-bland contemporary interiors. They really have nothing going on. I looked for a long time and there was barely any inspiring stuff, design-wise. For a couple of weeks I was just trying to figure it out. There’s so much that happens in that place, and I didn’t have anything interesting to reference. So I slowly started thinking a little beyond the ad agency, and then I hit upon the idea that it can also be an old sign shop, even though they’re not usually the same thing. Moodboard for Welby’s office on “Three Billboards Outside Ebbing, Missouri”, courtesy of Inbal Weinberg. 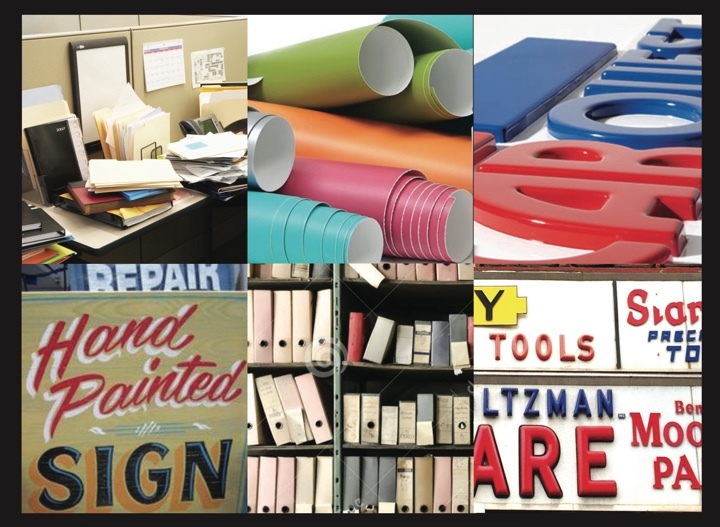 Once I started doing research on sign shops, that’s when I started seeing all these interesting elements that could go in the set. You can have showcase elements, play with color, add vinyls, lettering etc. It was also a great opportunity to insert layers of history of this small town, Ebbing, that we were creating. I thought the office could have old signs from decades ago, celebrating some town event. That way we could insert more of our backstory, even if no one notices. It just gives us another interesting layer. As that was evolving, the set decoration department started getting random signs and letters to put on walls. 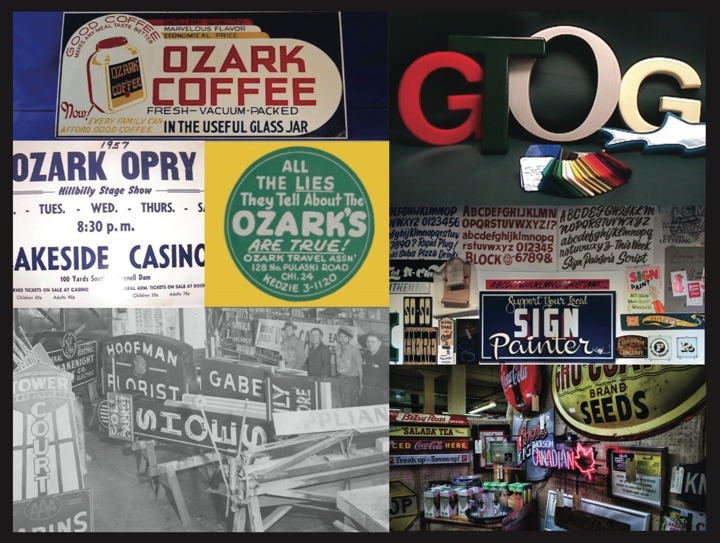 We had some research of sign shops, but a lot of it just came about organically. My set decorator was amazing and really went all out to find great elements that we could dress into the set. We even paid a visit to the local sign shop in Sylva, where we were shooting, and borrowed some of their stuff for set dressing. Once we put it all together, probably only in the last day or so of our dressing, we realized that it became a very visually intricate set, with so much great stuff going on. I think it really enriched that part of the story. Kirill: In a sense, your work will now be the reference for how a small town ad agency is “supposed” to look like. Inbal: That would be amazing [laughs]. Kirill: I was reading the interview you did with Deadline when the movie just came out, and I loved the part when you say that it’s becoming much harder to find a “traditional” small town in the heartland of America. It made me think that we might have a notion of something that “must” exist somewhere, but it may already be long gone. Inbal: It’s interesting. A lot of times that happens to me in various parts of production design. I see a strong image of something in my mind, be it a piece of furniture or a space, and I think that obviously this thing exists. Then you go on scout after scout, and it’s not there. You imagine something so strongly that to you it’s obvious, but it doesn’t always exist that way. Of course, small-town America has gone through a lot of ups and downs. 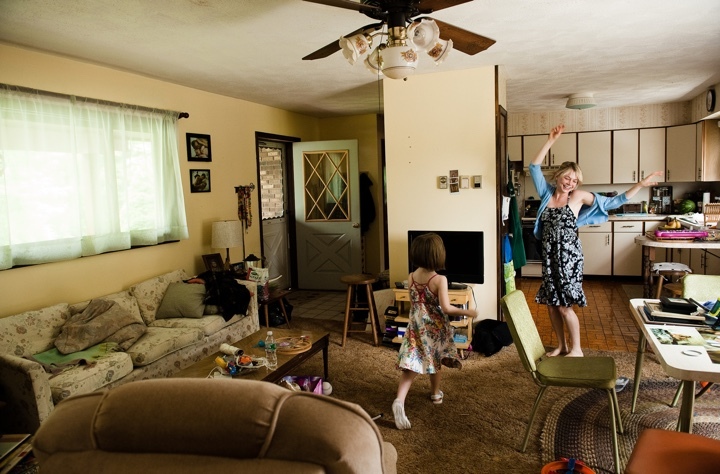 I’ve worked in so many small towns, I could write my own visual essay about small-town America. Many of the films I’ve designed are dramatic gritty stories of small towns with boarded up Main streets where industry used to prosper and now is gone, and people are not doing well. But Martin didn’t want to go too far in that direction. He wanted the feeling of a town that is dated, but where people still like living. It still has a functional Main Street that is being used by town people, and a strong community feeling. That is not an easy find. I love the location scouting process. Sometimes I think it’s the most luxurious time in pre-production. So often we’re warmly welcomed into these incredible places that we would never otherwise visit. I feel super grateful to have little glimpses of so much interesting stuff that happens behind closed doors. We may go on scouts and look for a location through 40 different options and nothing works, but you still see 40 incredible homes or institutions or whatever you’re looking for. That’s always so helpful and so enriching, even if it’s not for that project. You’re still going to end up taking inspiration from it. 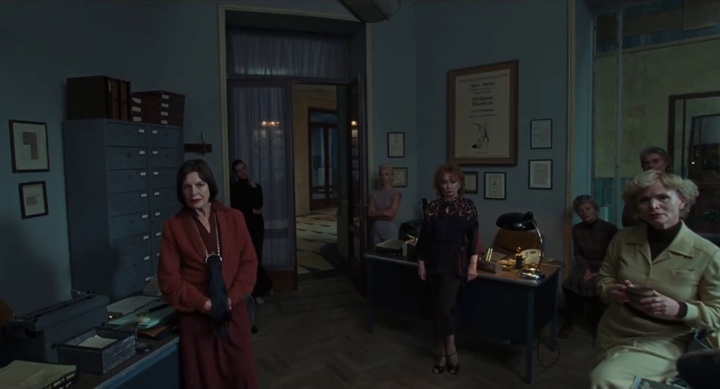 From the first trailer for “Suspiria”. Kirill: Your latest film “Suspiria” is quite different from your last few productions. Going back to what you said about learning from every film that you work on, what did you take from it? Inbal: “Suspiria” was one of the most difficult projects I’ve worked on, and I learned so much from it. It was one challenge after another, but we did really well and the film looks so beautiful, I’m proud of the fact that we were able to survive and prosper. Whenever you work outside of your comfort zone, it’s always a bigger challenge. I was working in Italy, and so many things, even on a personal level, were challenging – the language, not knowing the local film community, not knowing work methods. And then on top of that the film was super ambitious and the vision was grand. Whenever you’re working away from home, it can be difficult and often frustrating because you’re used to a certain way of doing things and local people are used to their own way of doing things. But it teaches you so much as a human being. You recognize that there are many different ways of working, and even outside of work there are a lot of different ways of living. It makes you more open to other cultures and other work methods. You definitely grow as a person working in a different environment than what you’re used to. “Suspiria” was a film that respected the craft and pushed all of the key department heads – from wardrobe to makeup to design – to go a step further. We really went far, which definitely taught me not to be afraid in the future of taking the visuals to a kind of level that maybe is not expected. You want to keep pushing past traditional visual interpretations, and really go for something that’s original. 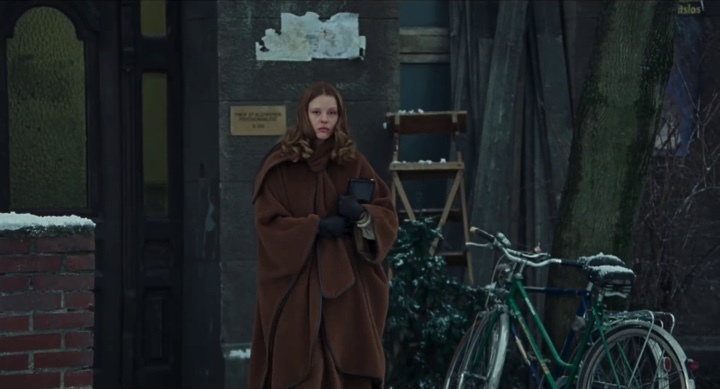 One of the biggest visual challenges about “Suspiria” for me was its underworld. We were going between different worlds: one was set in Berlin in 1977 and had to be very authentic – we were trying to recreate what it felt like to live in ’70s. And then the other part was the supernatural element, or whatever you may call it – the horror or the underbelly. Truthfully, I felt stumped once we had to brainstorm the look of those spaces. A lot of my films are realistic – I read historical research, and I enjoy looking into real people’s homes and feeling their worlds. Then, all of a sudden I had to think outside of that box, and imagine things that don’t exist. It was a huge challenge. I’m always respectful of colleagues’ work, but it gave a lot more respect for designers working on fantasy films. I don’t know where that comes from. This film made me realize the limits of my own imagination. I think even Luca had a harder time with that part, but thankfully his references were amazing. We both brought varied references to inspire us: surrealist drawing, contemporary art installations, performance art. We tried to keep the conversation going by referencing other artists who have been able to break through the confinements of realism. Kirill: Maybe it’s good to challenge yourself, to do something that you haven’t done before. Inbal: Absolutely, that is very true. Thinking about what references to use when you’re starting to build these imaginary worlds is inspiring. It makes you understand that art is so diverse, and that there’s so much out there that other people can see. It’s beautiful how far other artists have gone. It would be interesting to do something similar, although I do find that I get a lot of satisfaction out of re-envisioning regular people’s lives. Kirill: When you were talking about adjusting to a different working environment and language when you did “Suspiria” in Italy, all I could think about was eating gelato every day. Inbal: [laughs] When I came back after six months, everyone was jealous that I got to eat all that Italian food. But it was such a tough experience, that it actually tainted my love for the cuisine! It took me a long time to start eating pasta again [laughs]. It’s all good now, I’m fully recovered. We just had our premiere in Venice, and it was so beautiful. It felt like full circle, being back in Italy and enjoying it. Kirill: Going back again to “Blue Valentine” and “Three Billboards”, those are stories with a lot of emotional ups and downs. Is there a line that you don’t want to cross, so to speak? Are you worried about getting lost in the story so much that you forget that you’re responsible for bringing that story to the screen? Inbal: In some way, the feeling or the mood of the story ends up permeating set and the production. Whenever I’ve worked on a tough shoot, it always involved a tough story, and I think it’s not a coincidence. One of my first projects was art directing “Half Nelson”. I loved that story so much, and I loved Ryan’s performance so much. When we were shooting it, I literally would be crying at monitor daily, because I was so invested. That was one of my first films, and obviously you’re more emotional about things when you’re younger. But even nowadays I love getting swept into the story and being emotionally connected to the material. The best thing is when you’re on set and a scene is happening, and for a second there you forget everything else. When what is happening in front of you is so strong, then you know for sure the film is going to be good. Those little moments are important to me. I try to be on set a lot, because I love seeing it all unfold. It’s thrilling. It’s almost like a play that is happening in front of you. When you watch theater, you have this unmitigated tension that is there, because you’re in the same space with the actors. The same thing happens on set, but in a more exciting way for me, because it involves all these filmmaking aspects. I don’t think you ever lose yourself completely, because there’s just so much going on all the time. But at the same time you have those little moments where you can have this emotional experience on set. Those moments mean so much to me. It really gets me going. I could be stressed out the entire day, but then one scene would be so good that it just gives me all the energy to wake up at 4AM the next morning. Kirill: That and Italian ice-cream. Inbal: Exactly [laughs]. Italy was amazing. Kirill: I’d imagine it’s pretty exciting to be traveling around the world and be exposed to all the different cultures. Inbal: Completely. I was working in Ghana on “Beasts of no Nation”, and for me it was the most extreme cultural immersion. I learned so much from that experience, and I’m sure it helped me on “Suspiria”. And then learning so much from “Suspiria” helped me on this project I just finished in Puerto Rico. You get better at understanding your place when you’re going to somewhere unfamiliar to you. Kirill: What keeps you going in this field? Inbal: I think it comes down to the love of filmmaking. I’m such a huge film buff, and I place films above almost all else. So to know I can be part of that is so gratifying. When you think deeply about what filmmaking is, to me it’s a way to cheat death. It’s our way to tell stories that will stay forever. My small contribution to that means that it would be, in a way, my legacy. That is probably the subconscious reason for why my contribution matters past my daily life. 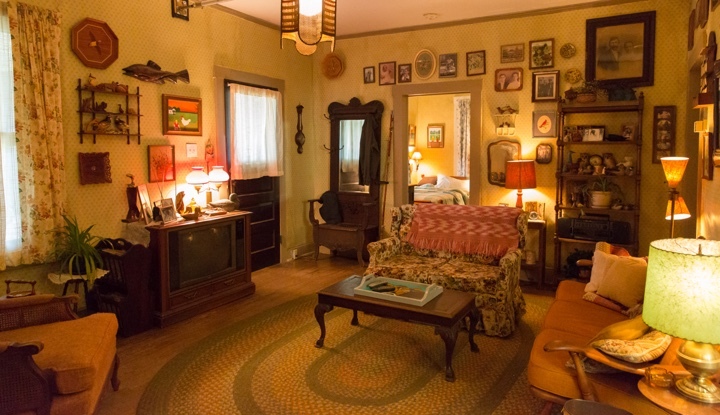 Mildred’s house on “Three Billboards Outside Ebbing, Missouri”, courtesy of Inbal Weinberg. The rush of being a part of a production is something I love so much. Even when it’s super hard, I still feel like it’s so much better than just going to an office every day. I’ve never even done that, and I don’t know what I would be like if I had a more conventional lifestyle. There’s a full trajectory to this experience: you have a beginning, a middle and an end to each project, and when you finish you can actually observe its fulfillment as a finished product. That’s the opposite of being stuck in a kind of daily, monotonous ritual of life many of us participate in. And you’re also able to not work for long periods of time, which is a luxury not a lot of people have. I appreciate the time off as much as I appreciate the time on. At the end of the day it’s just the thrill of it all. Whenever I stand by a monitor and I hear “Action!”, that’s the best moment of my day. Kirill: I don’t think that anybody is “supposed” to enjoy their work life… But on a more serious level, it feels like the industry is quite demanding, and that people who stay it in the long run do it for the passion of their craft, and not for the security of the next paycheck. Inbal: I agree with you. Over time, I’ve been seeing my colleagues and a lot of my crew members find ways to compromise. It’s so hard to sustain this lifestyle, and I totally understand that. If you want to have a relationship, and definitely if you want to have a family, it’s such a difficult balance. Some people might leave the industry, some people take on long TV shows where you have a more regular schedule and you know that you are going to stay in town, some people only take projects that are shot in their hometown, so they can stay home with their families and establish a routine. I think personally, I’m only getting more adventurous and less settled, but I don’t think I planned it out that way necessarily. The sort of instability that is already inherent in the filmmaking medium takes over your life if you let it. Sometimes I wonder what would have happened if I had another line of work. I don’t think I am an unplanned person by nature, but I’ve learned to stop planning. Because it’s dictated by my work schedule, my life progressively flows more spontaneously, which I’ve learned to embrace. There are a few of us that stay on the road and keep this type of lifestyle. You can end up a bit like circus carnies that way. And then there are people that are slowly becoming more settled. I wish there was a better balance to it. But there’s also the thrill, and it keeps you going. That is such a special way to be. 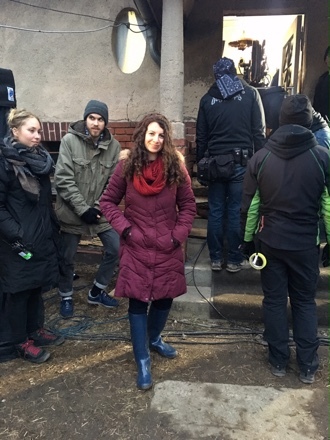 Inbal Weinberg on the set. And here I’d like to thank Inbal Weinberg for graciously agreeing to answer a few questions I had on the art and craft of production design, and on what went into creating the worlds of “Three Billboards Outside Ebbing, Missouri”, as well as for sharing the supporting imagery. The film is out now on BluRay, and other physical and digital formats. Inbal is also a co-founder of the Production Designers Collective, a wonderful site for sharing knowledge, advice and experience about everything related to production design.